My advice is to relax and enjoy your baby's first birthday. For both my children we had a little tea party and did a family day out. My son especially didn’t really enjoy birthday parties until he was about five, after that he really got into the swing of them! I suggest you do what’s right for your family, whether that’s a big party or a quiet family day doing something nice. A trip to the Zoo always goes down well, Marwell zoo near Southampton is great if the weather is nice. It can be great at other times of the year too....we did brave it in November one year! Or a trip to a farm. Both Longdown Farm and Manor Farm in Southampton are great. If the weathers not so good, we also love the Aquarium in Bournemouth. If you have friends with young children soft play is always a hit. I have to admit I always prefer it in the week or early at the weekend when its quieter! I think one of the best, near me, is Kids Today in Chandlers ford. It’s very clean and most importantly has good coffee and cake and an area specifically for babies too. 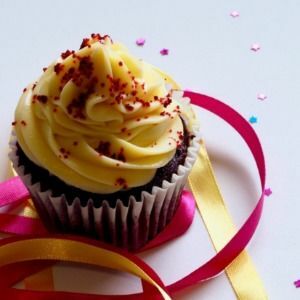 Or a party tea at home with plenty of cake! Make some memories Maybe book a cake smash or family photoshoot to mark the occasion, or maybe make a photo book of their first year. 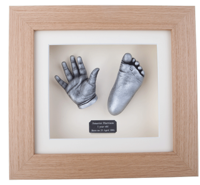 I get many people coming to me for hand and foot casts on or around their child's 1st birthday. Parents often contact me and say that they've been meaning to get a cast done for months and months!!! 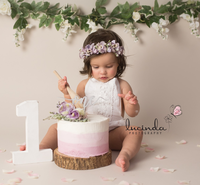 You can also take advantage of the casting and cake smash photography package that myself and Lucy from Lucinda’s New born photography offer. Stacking toys, bath toys, textured balls, a trolley or push along toy, board book or bath books. Open a bank account- On both my children’s first birthdays my parents opened a bank account for them and added some money as a gift. Over the years I’ve added a little every few months. Here is Kailia being cast for her first birthday, she was a pro by now! I cast her when she was a tiny new born baby, at 6 months and at 1-year-old. The next lifecast on her mum's list is a hand holding cast. Happy Birthday Kailia!